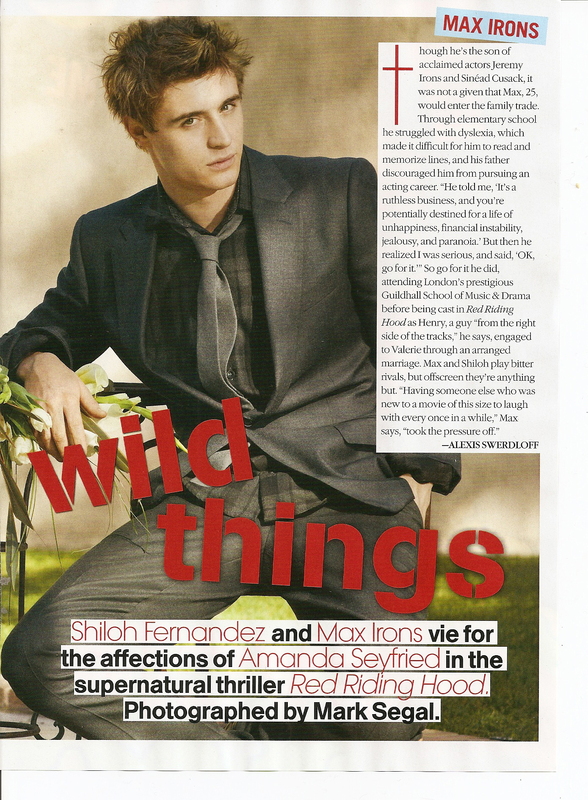 Max Irons is featured in the April 2011 issue of Teen Vogue magazine, as part of a two-page spread (pages 166-167) entitled “Wild Things” about Max and Shiloh Fernandez, stars of Red Riding Hood. 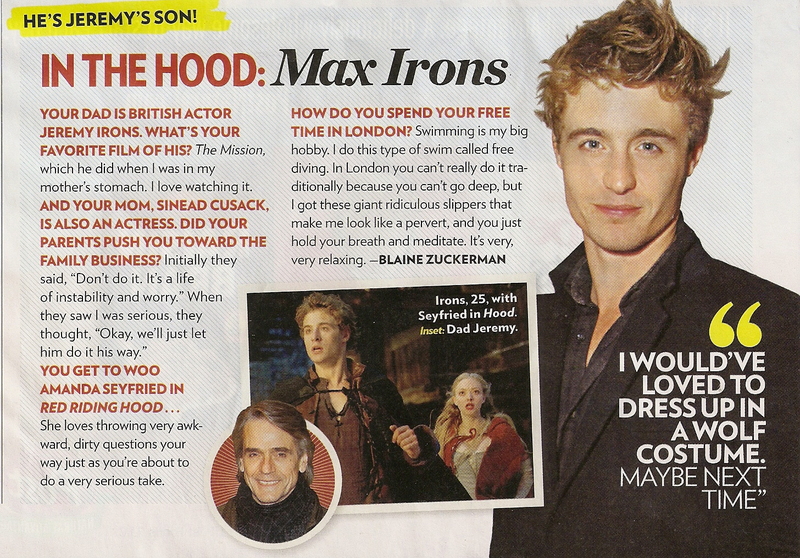 Max wears a Calvin Klein Collection suit. Inis Meain shirt. Jill Sander tie.